The one I have, the Polaroid 300 in black. Spoiler: They’re both exactly the same. Recently Andrew bought me the new Polaroid 300, a cute little instant camera similar to the older ones, just with a new shape and new photo dimension. Unlike its square predecessors, the new Polaroids are wallet sized and shaped. I didn’t realize how much fun I’d have with it until I started using it. The Polaroid brand film pack is quite pricey, $10-$11 for 10 exposures. I zoomed through my first pack and LOVED IT. I must admit, watching the chemical process develop the image within seconds always gets me. 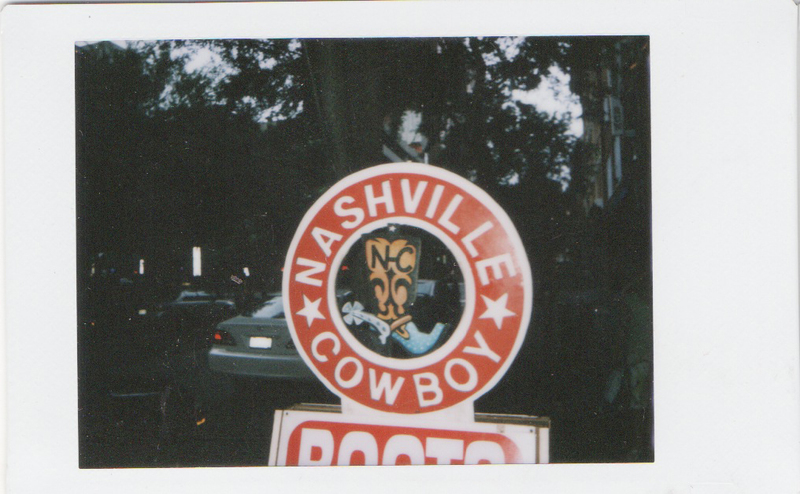 This film, it being Polaroid brand, beat the pants off of the Impossible film. For a review I did of that go here. Anyways, I definitely dig this film. Being the cheapo that I am, I searched the internet for a cheaper price. I came across Fuji Instax brand at 20 exposures for around $12-$14, much better. My question was would it work in my Polaroid? Fuji makes a camera that is EXACTLY the same. The only difference is that one says Fuji and one says Polaroid. It’s the same camera. Both are priced between $60-$70. So yeah, it works. I don’t know why it was so hard to find a straight answer to this in the far corners of the internet but it was. I decided to make your life easier and just flat out tell you – Instax film will work in the Polaroid 300 and Polaroid 300 film will work in the Fuji Instax. 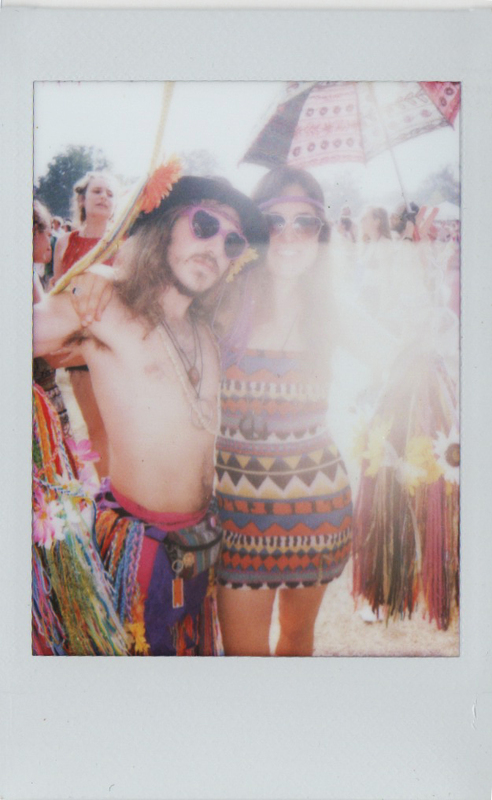 Instax – Hippies! The smudge is a raindrop. These cameras have a weird history. Fuji was building the larger Instax cameras as a direct competitor to the Polaroid Captiva in the 90’s, but they were only available in the Japanese market due to legal restrictions placed by Polaroid. Then Polaroid licensed the cameras and film and rebranded them as “Polaroid Mio” for the US market after discontinuing Captiva/Vision. The Instax Mini was a competitor to Polaroid’s rather bizarre and pathetic disposable PopShots camera. A few years later, Polaroid filed for bankruptcy. 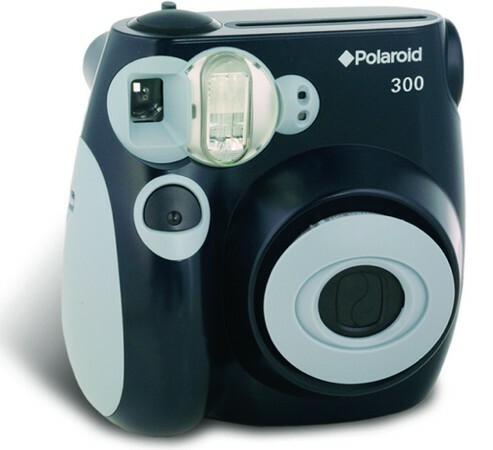 Following several restructures and a second bankruptcy which saw the end of Polaroid film produciton, the current Polaroid Holding Company licensed the Instax Mini as the Polaroid 300. It should be noted that in all incarnations, Fuji’s version of instant film was superior in color rendition and quality control to Polaroid’s… however some of the charm of the old emulsions is lost forever… and Fuji has been scaling down it’s variety. And yes all very true. It kills me that Polaroid basically just lives off its brand name instead of the quality of its products. Don’t get me wrong I do love this camera, but $10 for 10 exposures because they say Polaroid on the back instead of Instax is so nuts. Fabulous. I must, and dare I say will, have one. Love the you at bonnaroo. Todays hippies lol love them too. Yep, you are quite right. You can get the Fuji 2 Pack on Amazon for around $14, though I’ve seen it as low as $12 while the Polaroid version costs $10 per pack of ten. What’s funny is, is that the Polaroid instant camera is a lot less than Fuji’s. My Polaroid was around $65 while the Fuji version of the same thing is around $100. so when i buy a polaroid 600 i should be able to use instax films? So you just fluctuate types of films but use the Polaroid 300 camera? 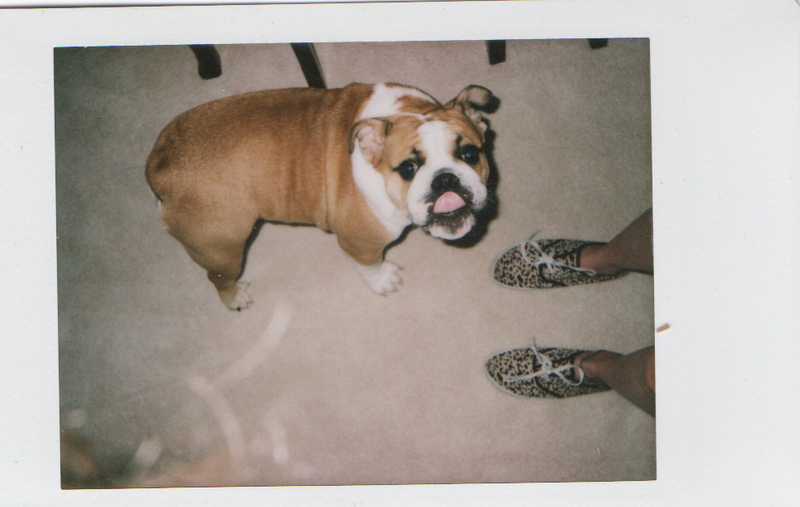 I use either the polaroid film specifically for the 300 or I use the fuji instax film. either one will fit! Thank you so much for this. I recently bought an Instax mini for my gf. I’m really excited for her to use it. 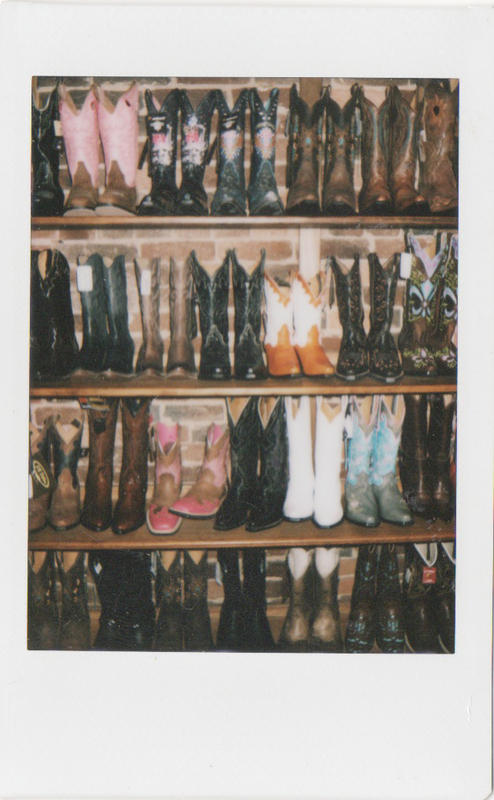 I was thinking Polaroid 300 must be better but its kind of a relief to find out they are the same. Keep up the good work. Thank you! Glad I could help. They are exactly the same, just different labels. Fuji comes in better colors in my opinion. They also make one that gives you more control (manual settings) but it is a bit pricier. Good luck! Thank you so much for all this information. I live in Portland, OR, and I found a Polaroid 300 for $70. Do you think that is about right, or do you think I should keep looking? And thank you again for clarifying on film- that is great to know. Hello! Hmmm, I have not tried those myself but I just looked into it and it looks to me like they would fit just fine on either one. 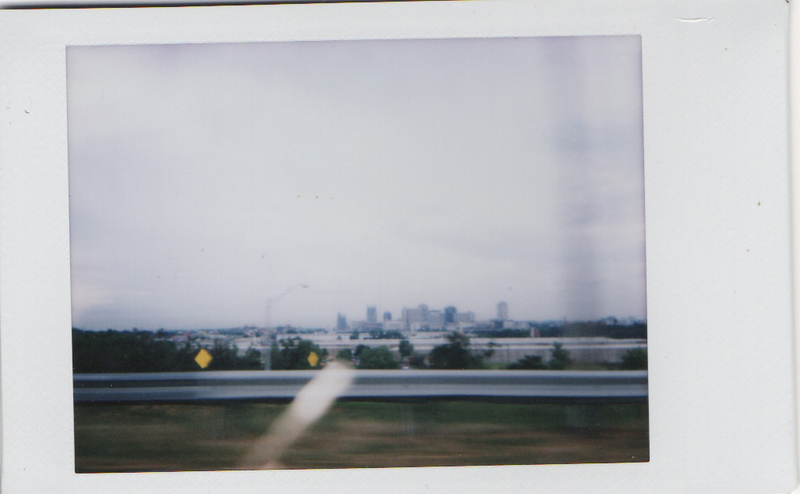 The lens to the Fuji Instax and the Polaroid 300 look exactly the same to me. If it were me I would buy it but you might want to email to double check with the seller beforehand though! Those look neat, I think I may just have to try them out. Do you believe the cameras are equal as far as performance? Good question. I don’t have both but from what I have seen of others photos and from friends who have the Fuji it looks to me as if the cameras are the exact same design. Where do you buy your film from? Thank you so much for this!! This just saved me from having to waste a gift from a friend! So ANY instax fujifilm will work on the polaroid 300? Or is it a specific one? This post has been so helpful by the way!! Omg thank you for this. 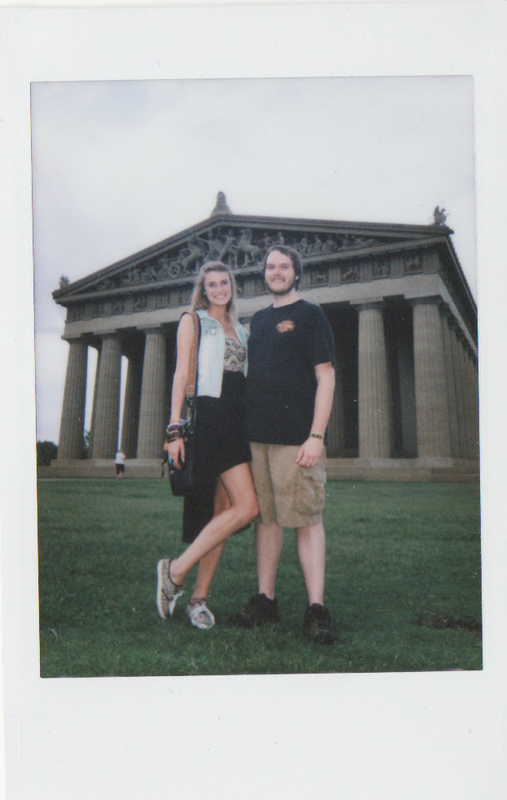 My boyfriend bought the polariod 300 film but I have the Instax Mini! Thank you! !